Thanks to all the talented people that turned up tonight! We had a great time and judging by all the positive feedback we are sure you did too. More pictures and video’s soon. 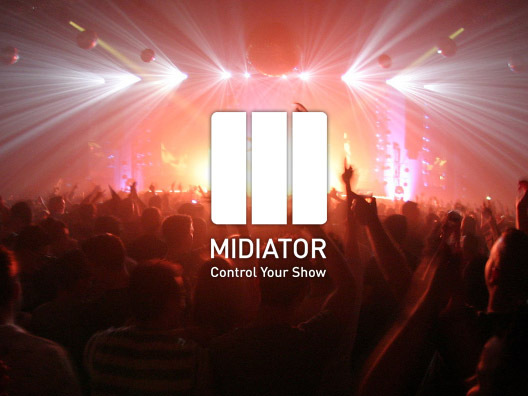 Menno is currently starting a company around his Midiator hardware/software device meant to make programming and controlling light shows fun. The device consists of a controller, a touch screen and an embedded PC running a sophisticated Max 5 patch. Animata geometry rendered in Jitter from nesa on Vimeo. During the microworkshop sessions, Nenad Popov will show us some of his favorite combinations of effects to achieve organic, textural esthetics using OpenGL+shaders in Jitter. 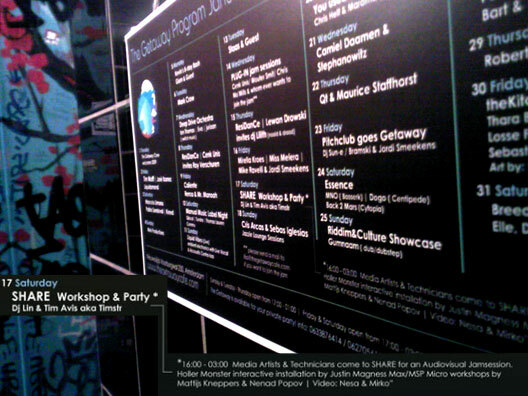 Mirko Lazovic and Nenad Popov will show us experimental networked live audio visual performance using exclusively Max/MSP, during the mutual jam session. Ben Terwel is a brilliant young artist studying at the ArtScience interfaculty in The Hague. He likes to experiment while keeping emphasis on the aesthetics of the experimentation result. 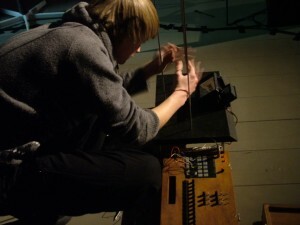 His recent experiments involved circuit bending circuit bent instruments, strange video games and unique projection devices one of which he’ll show at share.ams. 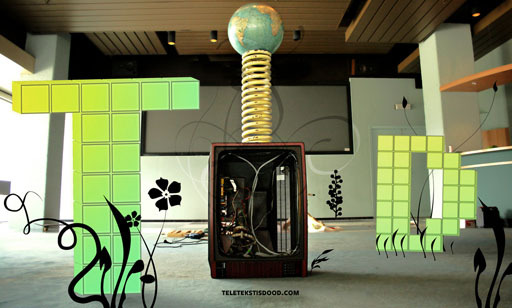 The tech/media blog teletekstisdood will be represented bij Beer van Geer, among others. This Dutch blog (or is it an e-zine?) keeps track of everything new in the land of tech, media and web, so we can expect them to bring their share of audiovisual material and gadgets. The Getaway DJ Café is ready..
..to receive us. This is a lo-fi picture of the January program as currently situated in the men’s room. Marcel will tell us more about his energizing new concept Doe-het-niet-zelf (don’t-do-it-yourself), that encourages people of various disciplines to exchange their services for free. This makes for active meetings where people actually make stuff rather than just talk. 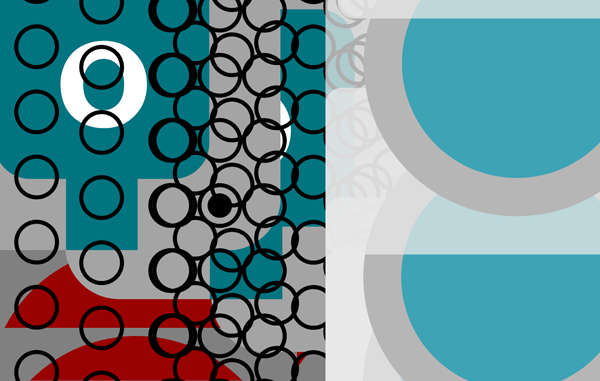 You are currently browsing the share.ams blog archives for January, 2009.